Daily Debate: If You Could Have Any One Track Of Zelda Music Be Your Personal Theme, Which Would You Choose And Why? One of the most important aspects of the Zelda series is its characters. 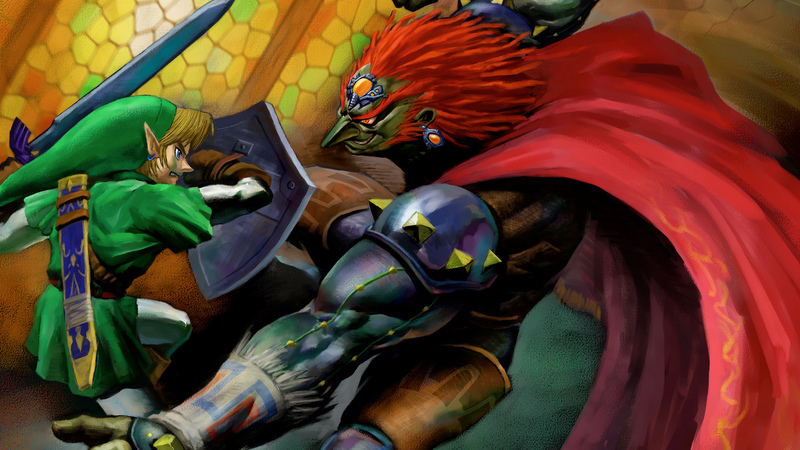 Whether we’re talking about the big bad Ganondorf or the sweet and spirited Saria, these well-known characters usually have very distinctive styles and personalities. And something common to video games, especially the Zelda series, is characters having musical themes that are specific to them which accentuate their unique characteristics. These auditory queues can be indicative not just of who or what they represent, but also of their history and future. In Ocarina of Time, as you ascend Ganondorf’s Tower and fight a multitude of his evil minions, a chilling arrangement can be heard being played on an organ. The music has a bit of a slow build and is tinged with malice and foreboding, preemptively telling of the epic finale to come. The beautiful capstone to this is of course when you finally reach the top and find it’s Ganondorf himself playing his own theme. Scenes like this often set the tone and enhance the overall feel of the action being played out. It’s also something that allows us to associate things with characters or places and easily remember or evoke those emotions we experienced at the time when we hear them again later. With this in mind, if you could have any one track of Zelda music be your personal theme, which would you choose and why? Tell us your story in the comments below!